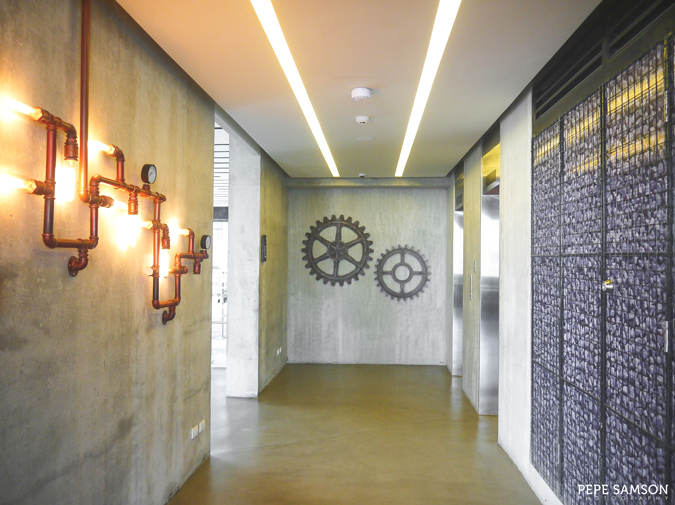 If you seek style and character in a hotel, you might want to check out the new B Hotel in Quezon City, an industrial-style hotel oozing with personality. 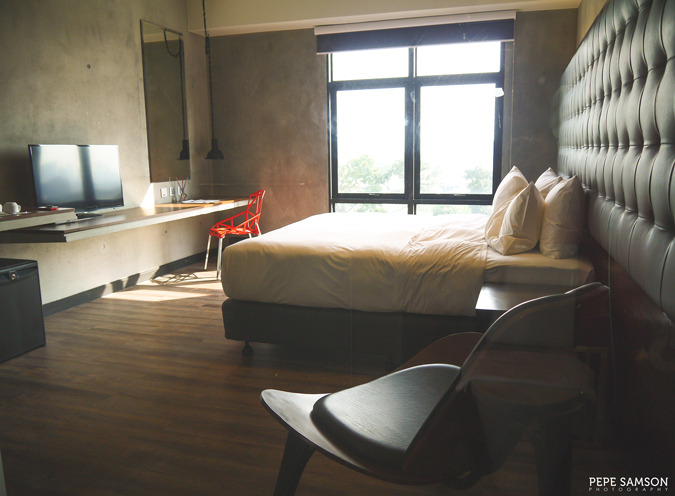 Conveniently located at Scout Rallos St. at the heart of Quezon City, this midscale hotel managed by Bellevue Hotels and Resorts aims to entice businessmen and “staycationers” with its minimalist modern design— sleek, artistic, and just a bit rebellious. 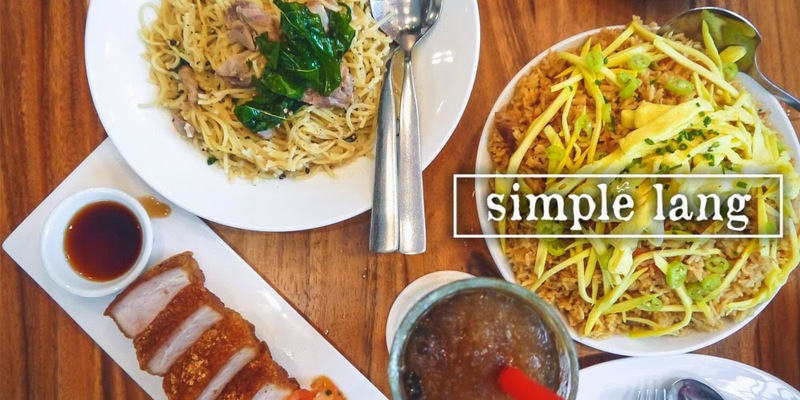 The hotel, which soft-opened last August, is close to shopping malls, entertainment districts, and transport terminals, spelling out convenience for visitors. 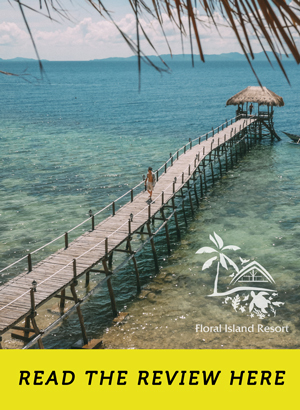 Whether you’re checking in just for the weekend or staying long for an engagement, accessibility is important for that hassle-free experience you seek after. 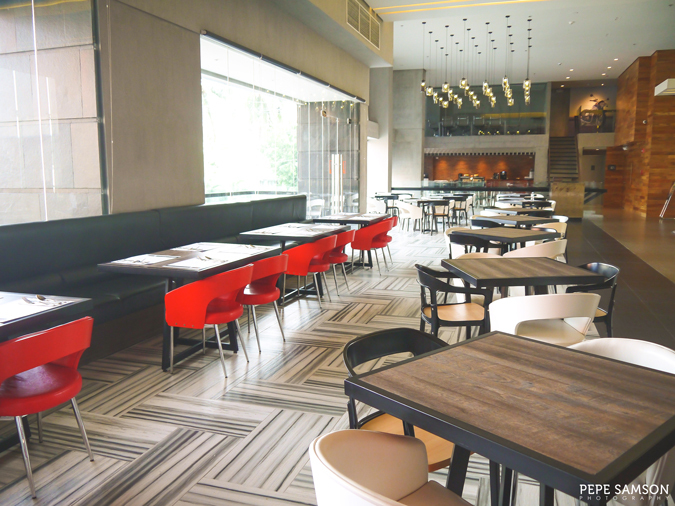 B Hotel’s prime location makes it one of the better options in Quezon City. 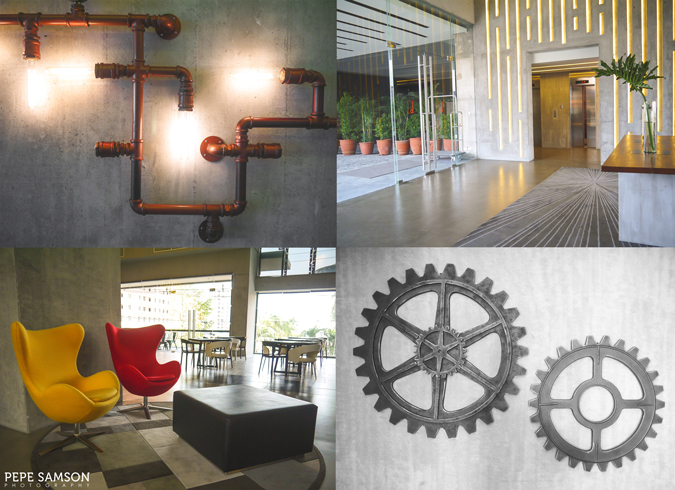 But like that head-turner, that eye-catcher who’s new in school, B Hotel sets itself apart from others with its overflowing personality. Every corner of the hotel showcases striking elements: geometric fixings; contrasting materials; grays and muted tones with unexpected bursts of vibrant colors. Brightly-painted furniture and knickknacks stand out against ashen walls—a remarkable contrast that is intriguing and beautiful. Reds and yellows mingle with faded greens and midnight blues. 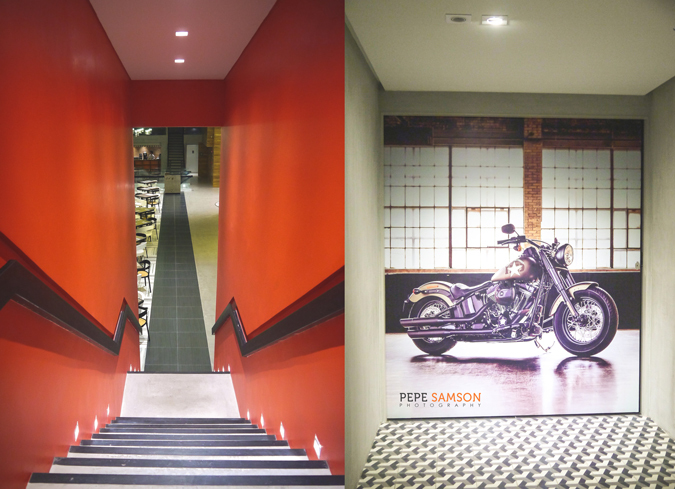 In terms of aesthetic design, everything was perfectly executed. The same level of artistry is seen in the bedrooms. 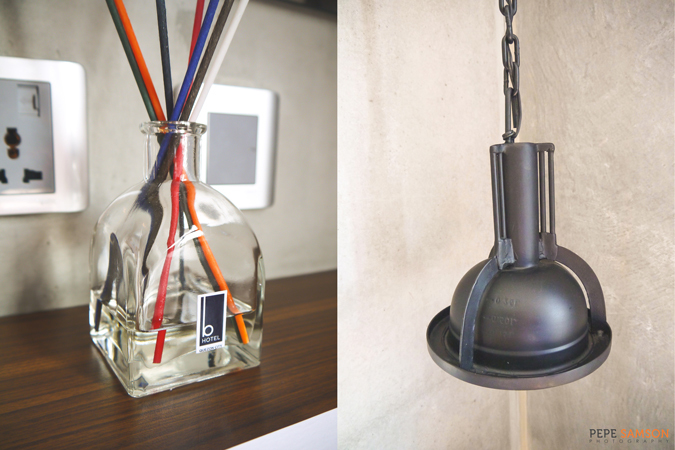 Each one of B Hotel’s 111 well-appointed rooms emanates the same visual appeal. 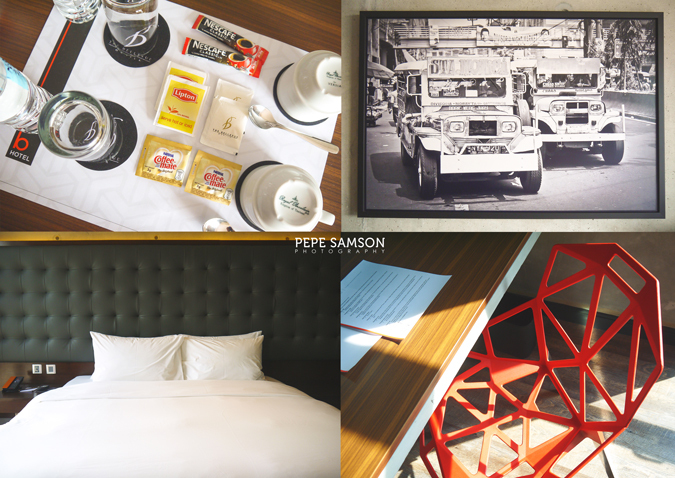 Read on to find out more of B Hotel – QC! 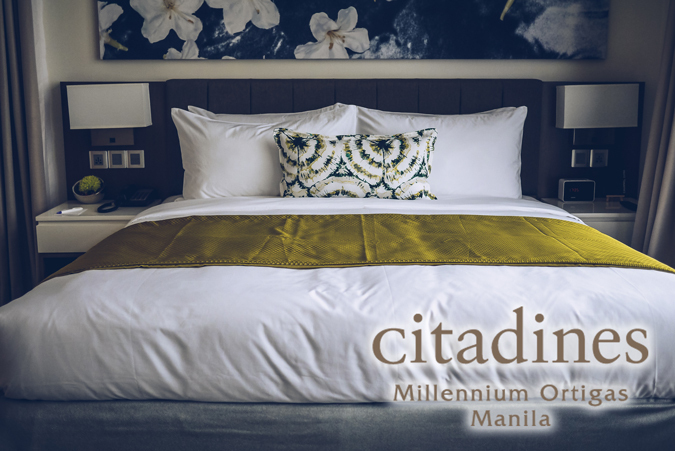 We stayed in a Superior King Room (PhP3,600++/night, introductory price - until December 30, 2015), a 28-sqm. 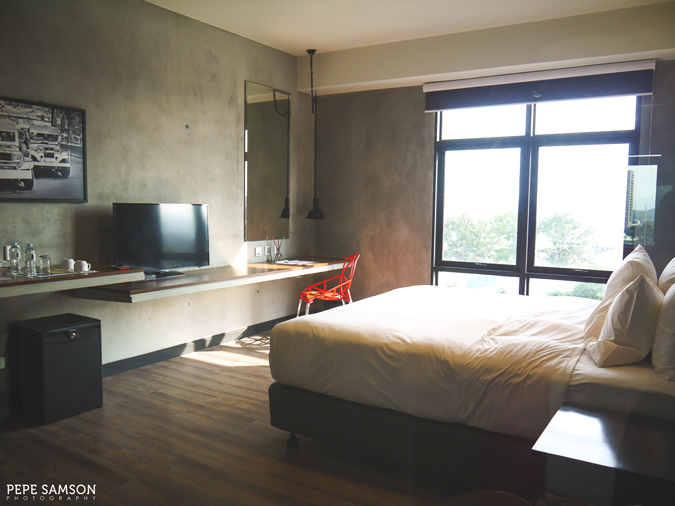 room that features a King-size bed, a cable TV, an en suite bathroom, a workstation, and a mini-bar. 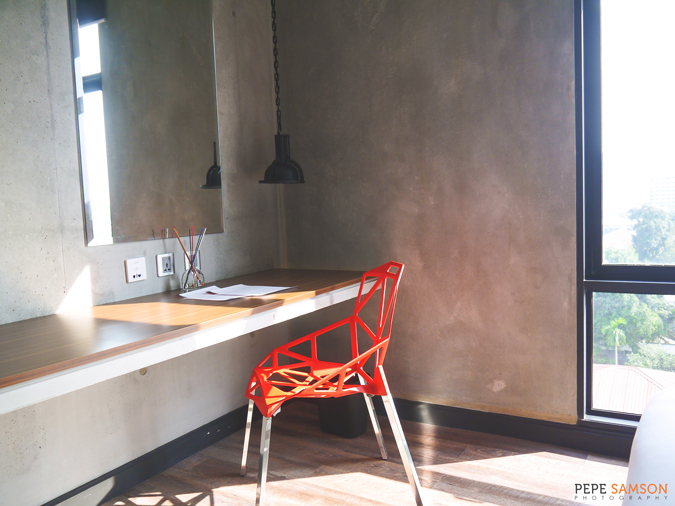 The first thing that struck me upon entering the room was the unique, artsy interiors: bare concrete walls against splashes of colors; quirky pieces like the designer chair, overhead lamp, and bedside lounge. All of these give a lot of character to the spacious, cozy room. The bed is huge and comfortable; the sheets smelled clean and fresh. 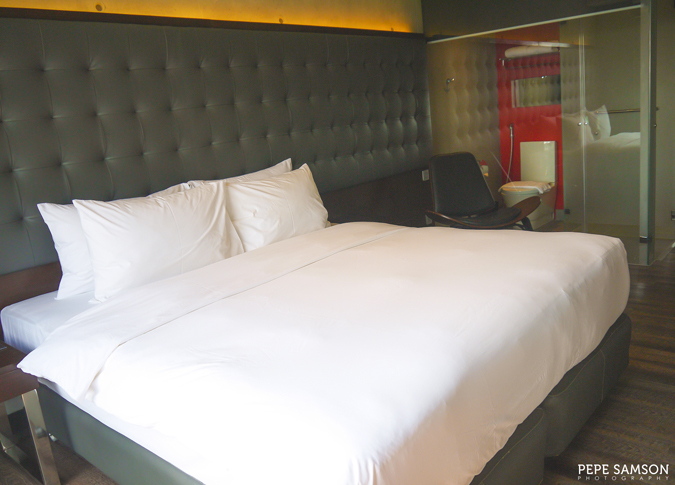 Positioned directly in front of the bed is the TV, which plays both local and cable channels. To the right of the TV is the workstation, wherein lies what is perhaps my favorite piece in the room: the red chair. It screams defiantly against the room’s subdued color palette. Not only was it crafted beautifully, it was also comfortable to sit on. 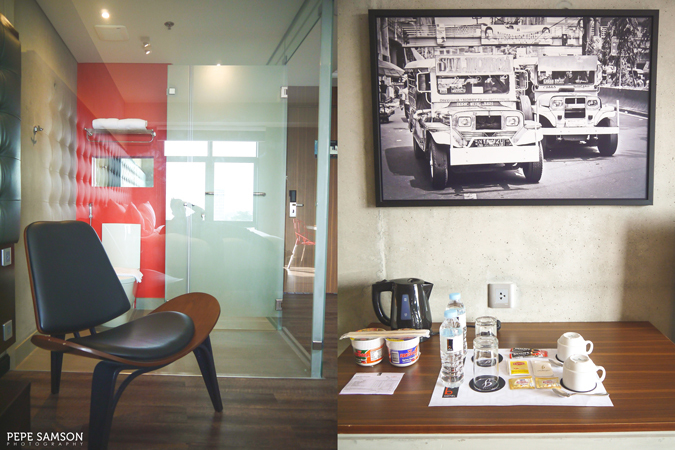 The mini-bar has complimentary water, tea, and coffee as well as some snacks for sale. 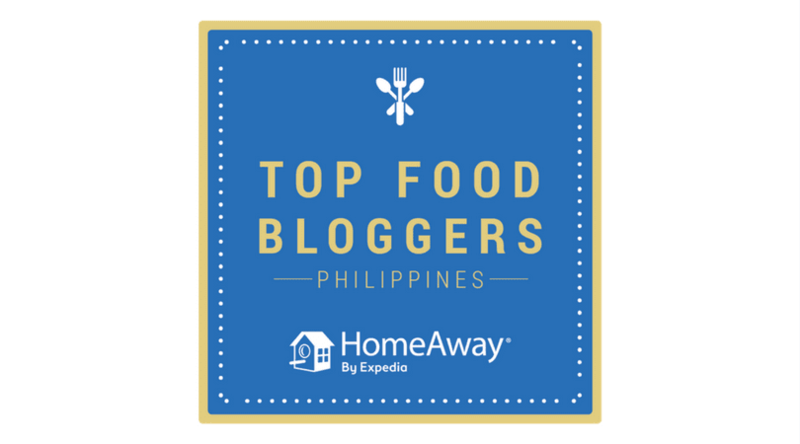 I liked the photo of the jeepney which hung on the wall—a distinct Filipino touch. The Wi-fi connection inside the room was strong and stable. 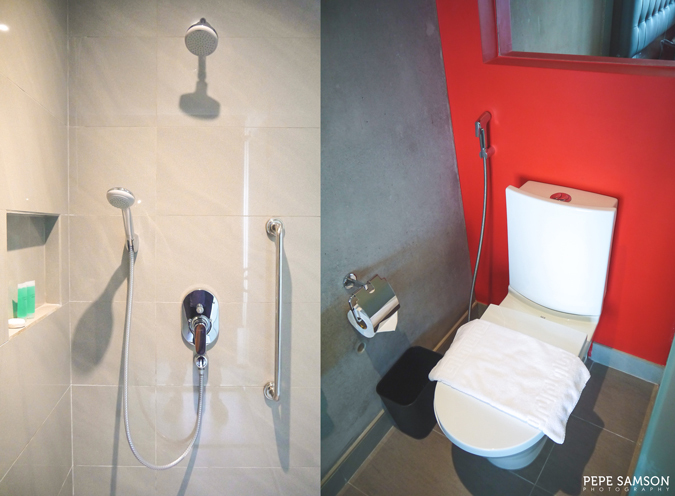 The bathroom design is strikingly gorgeous: the entire wall separating it to the bedroom is made of glass; the wall in the toilet area is bright red; and the shower area is dominantly white. 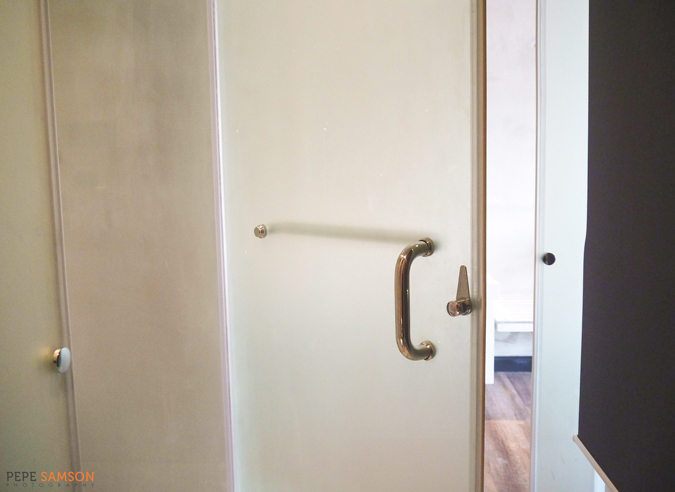 Another interesting installation is the door, which locks and connects to both the shower stall and the main bathroom door. Simply brilliant. 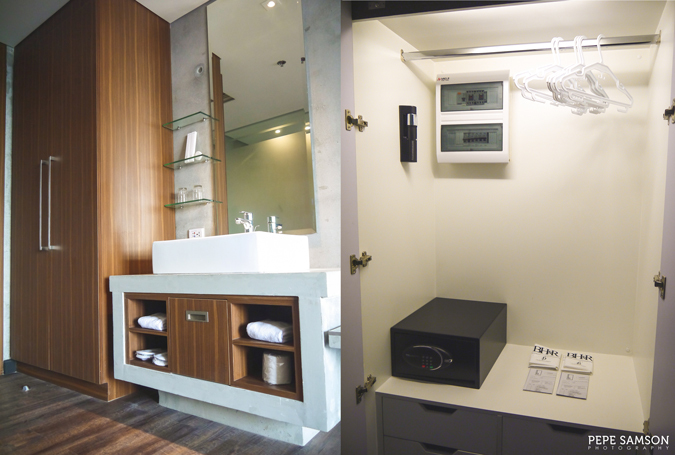 The vanity area is outside the bathroom and is equipped with a sink, basic toiletries such as dental kits and soap, tissue paper, and hand towels. To its left is a cabinet supplied with hangers, a flashlight, a safety deposit box, laundry bags, and bedroom slippers. I found the bedroom both aesthetically pleasing and comfortable—a marriage of creativity and functionality. The bed invites you to be lazy all day, while the fixtures call you to stare all day. I couldn’t think of a better combination. 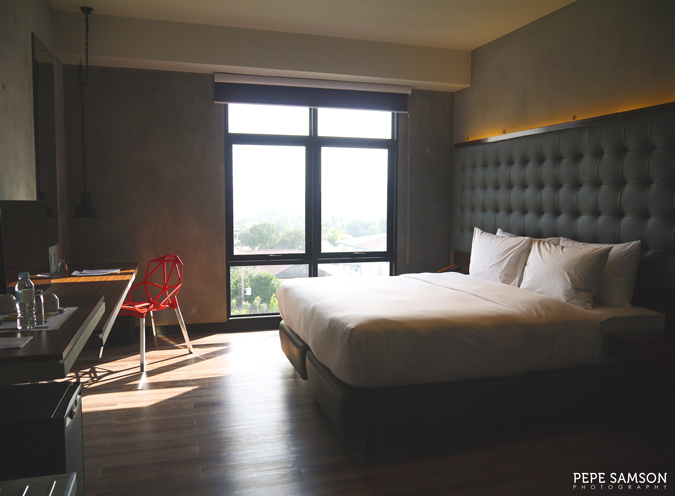 B Hotel also has Superior Twin Rooms (same with Super King but with 2 single beds), One-Bedroom Suites, a One-Bedroom Garden Suite, and 2-Bedroom Suites. All rooms include complimentary buffet breakfast, free Wi-fi access, and free use of the pool and the gym. 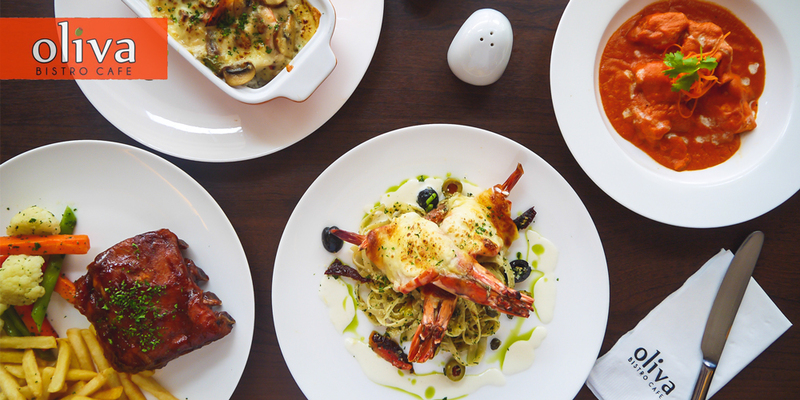 The Lobby Café at B Hotel serves a la carte international cuisine —from pastas, pizzas, and sandwiches to steak, seafood, and Filipino dishes. 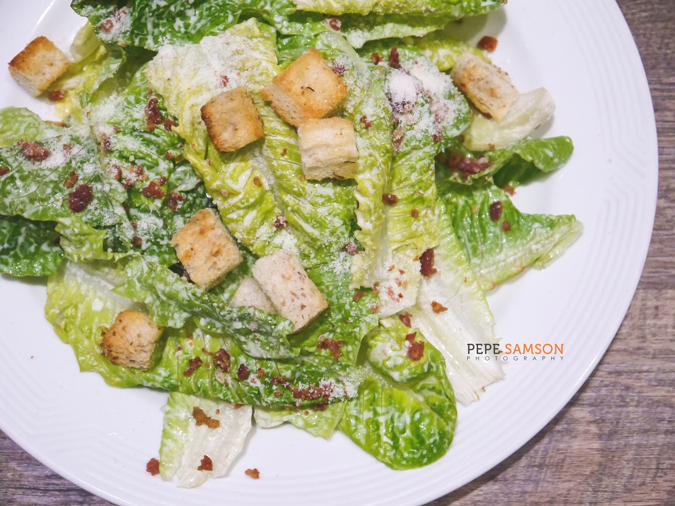 We had dinner at the Lobby Café and tried a combination of its Pinoy specialties and some continental dishes—starting with the Caesar Salad (PhP217.86), which came in a generous portion and was topped with delicious crispy bacon bits. So far, so good. 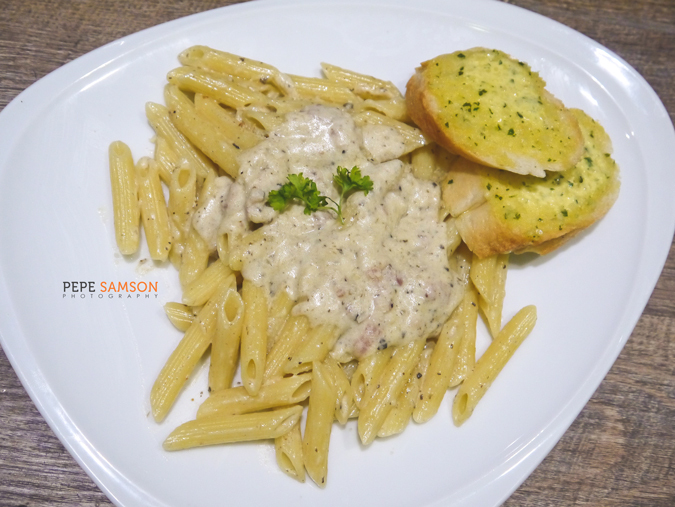 The Carbonara con Crema (PhP273.32) was hearty and satisfying. Creamy and slightly earthy, it had perfectly cooked noodles and just the right amount of truffle sauce for it not to be overwhelming. I loved every last morsel of this. 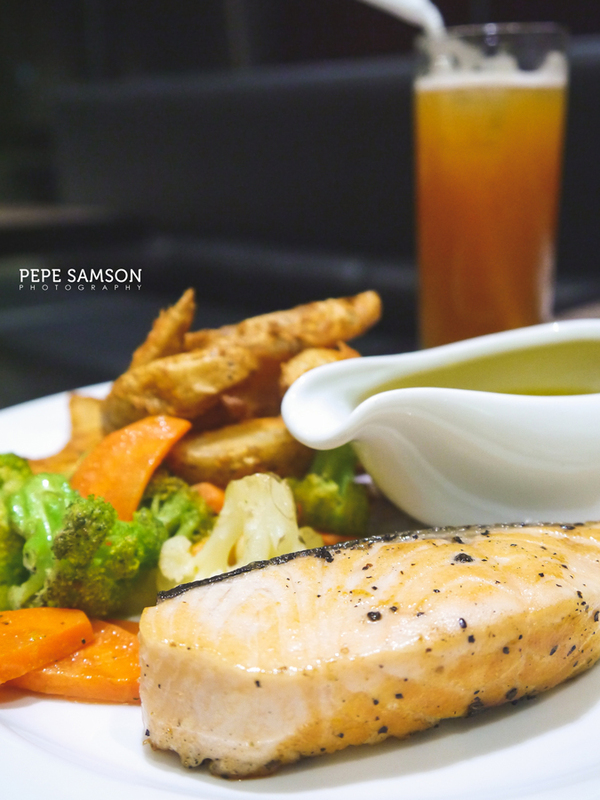 For mains, I ordered the Grilled Norwegian Salmon (PhP631.79), which was substantial in terms of size and taste. 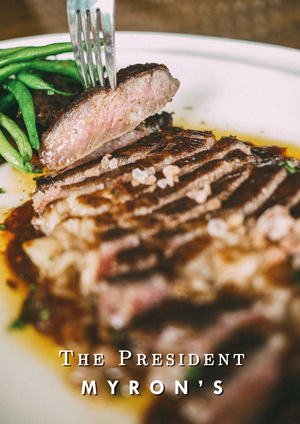 It came served with steamed vegetables, addicting potato chips, and some lemon-butter sauce. The fish was nicely cooked with a bit of crispy skin. 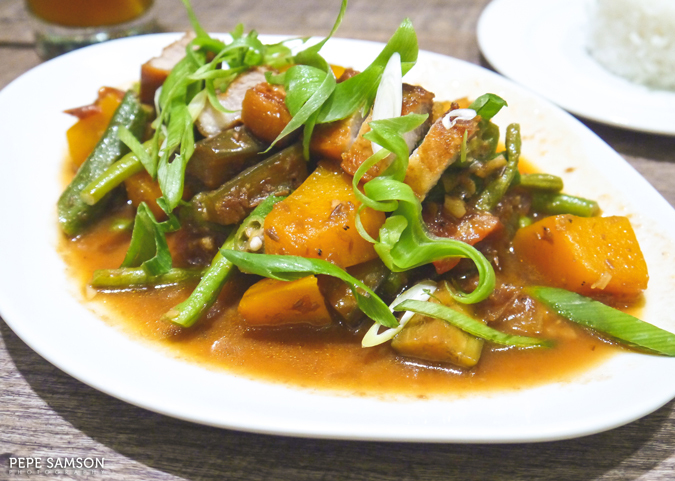 Pinoy specialties like Pinakbet with Bagnet (PhP196.07) and Chicken-Pork Adobo (PhP241.07) were on the menu, and both were filling and sumptuous. 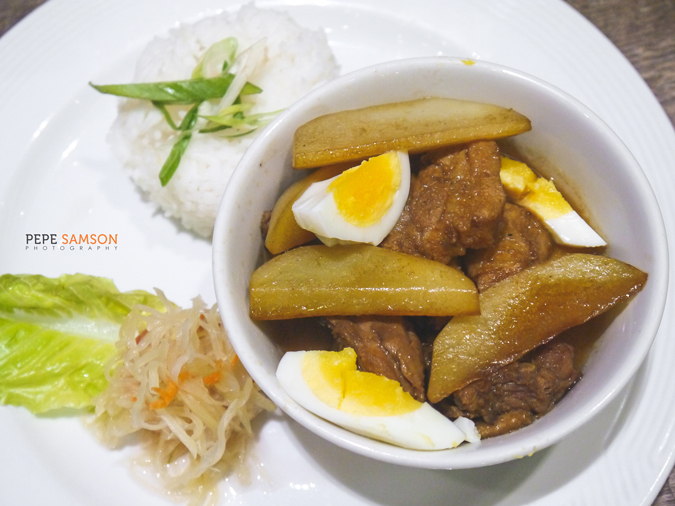 The former was generously laden with fresh vegetables and slightly crispy chunks of bagnet, while the latter broke the monotony of all-meat adobo with some potatoes and hard-boiled eggs. Both came in generous portions as well (good for 2). 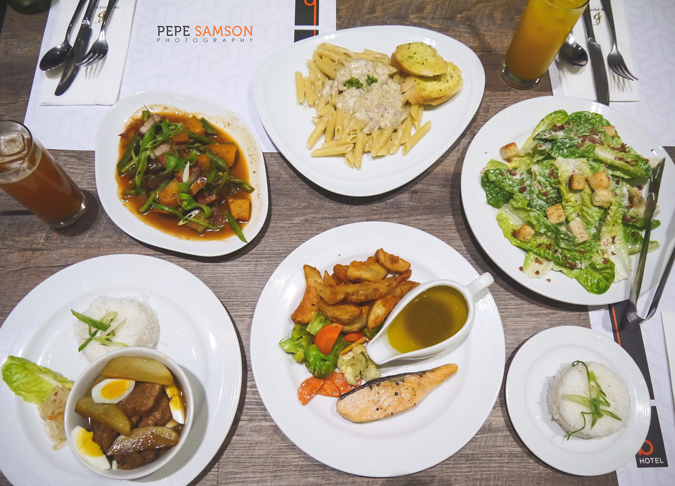 Craving for dessert? The Pastry Corner tempts guests with an array of pastries and cakes. However, I wasn’t able to try any during my stay as they had been sold out. 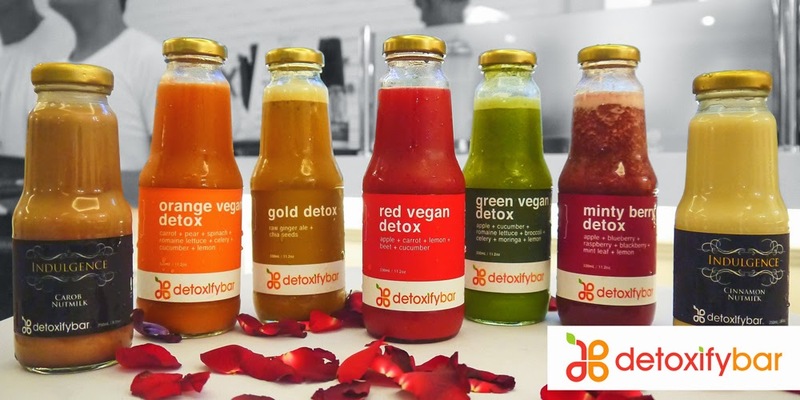 Therefore I had to settle with sweet drinks, haha! 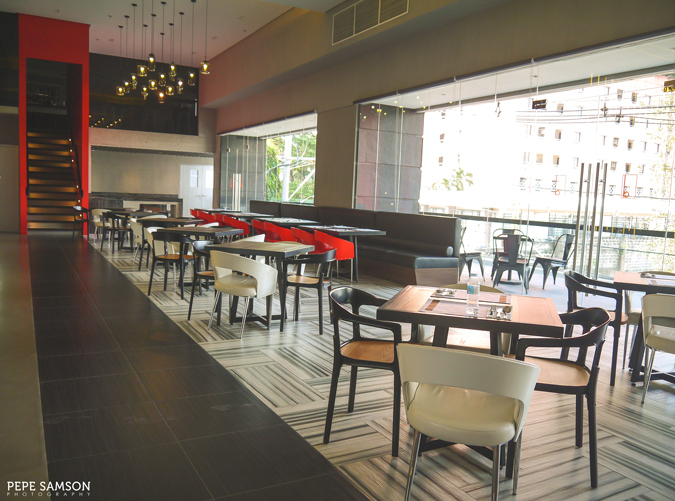 The Lobby Café has an adjacent al fresco area where guests can smoke or enjoy their meals or drinks while enjoying the relatively quiet side of Scout Rallos Street. Guests craving for a nightcap can head over to the Mezzanine Bar and indulge in beers or cocktails as they lounge about with some music. 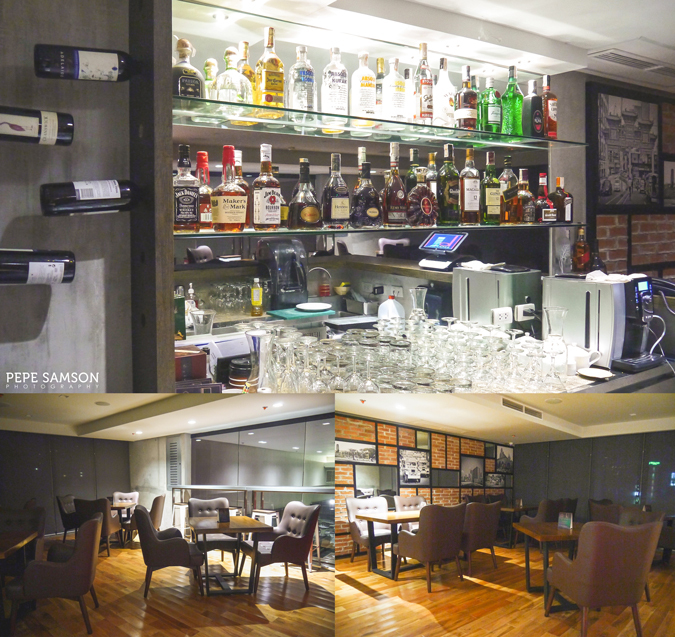 The space is quite dim and it reminded me somehow of a gentleman’s club—an ambience that I found to be a little out-of-theme for I was expecting something more casual and snazzy, like the bedrooms. Still, the Mezzanine Bar was cozy and perfect for unwinding after a long day. 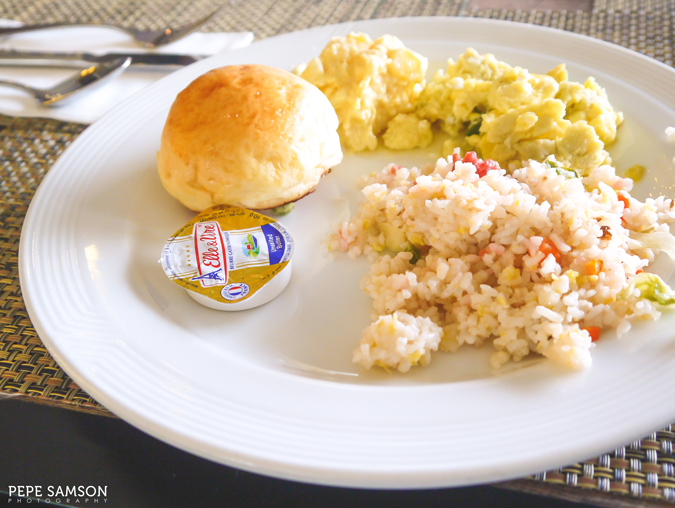 B Hotel’s breakfast offering is still in the works—but checked-in guests can enjoy complimentary breakfast consisting of early-morning staples like ham, sausages, eggs, fried rice, an assortment of breads, spreads, cereal, coffee, fruit juices, and fresh fruits at the spacious and cheery Lobby Café. 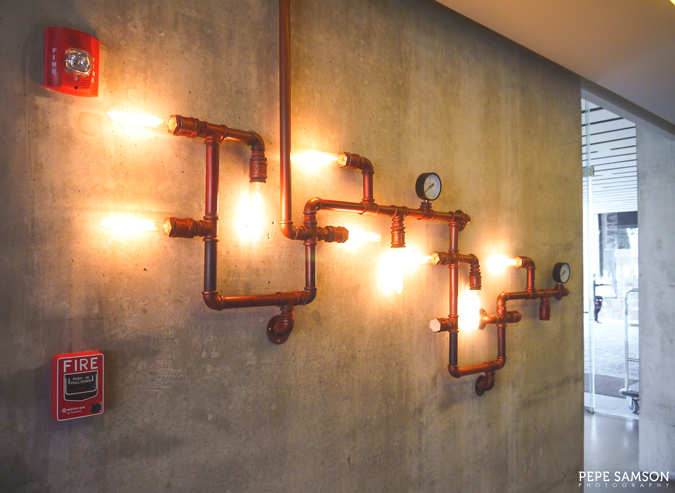 Whether it’s for business or leisure, B Hotel has something for its guests’ eclectic tastes. 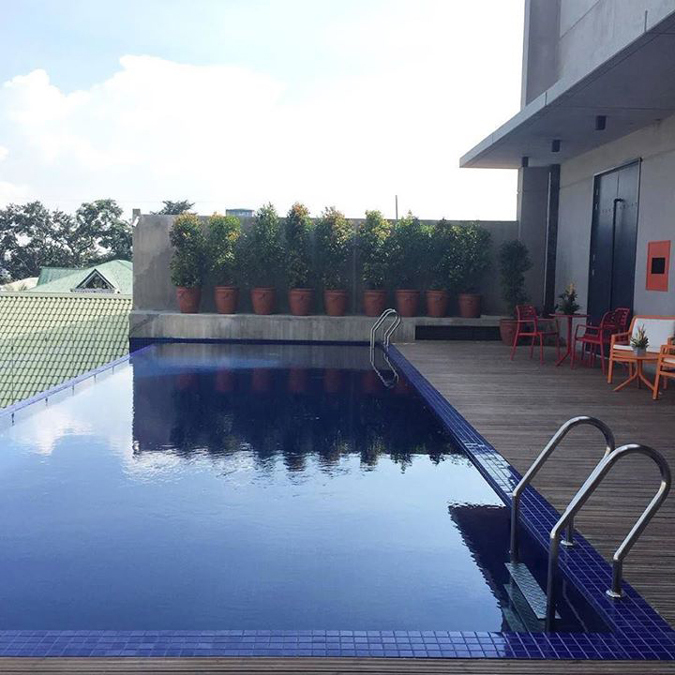 The swimming pool in the third level offers a view of the city, and while it’s quite small, it exudes an air of relaxation and, to some extent, privacy. 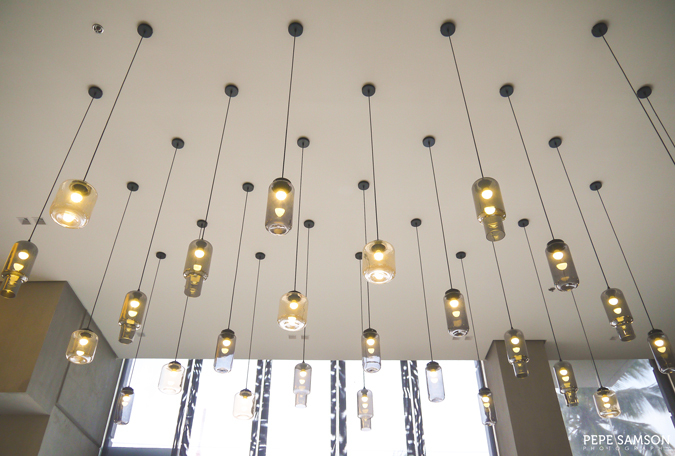 There are function rooms with conference tables and projectors for important meetings and a ballroom with a 200-seating capacity in the Mezzanine floor, and in the fifth floor, a modern gym for fitness buffs. 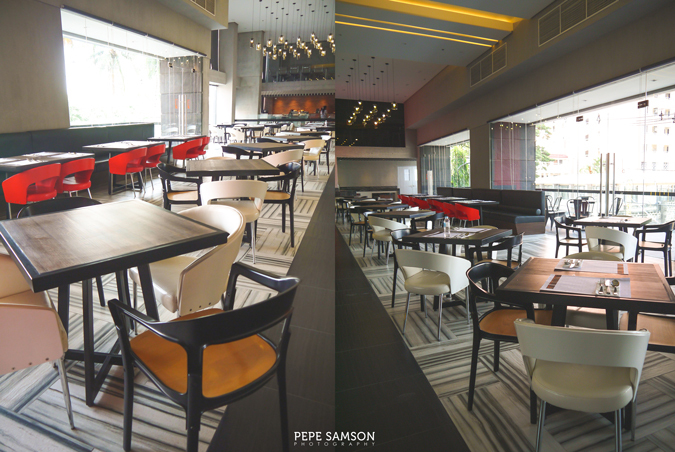 Jing Monis Salon also has a branch right within the hotel. 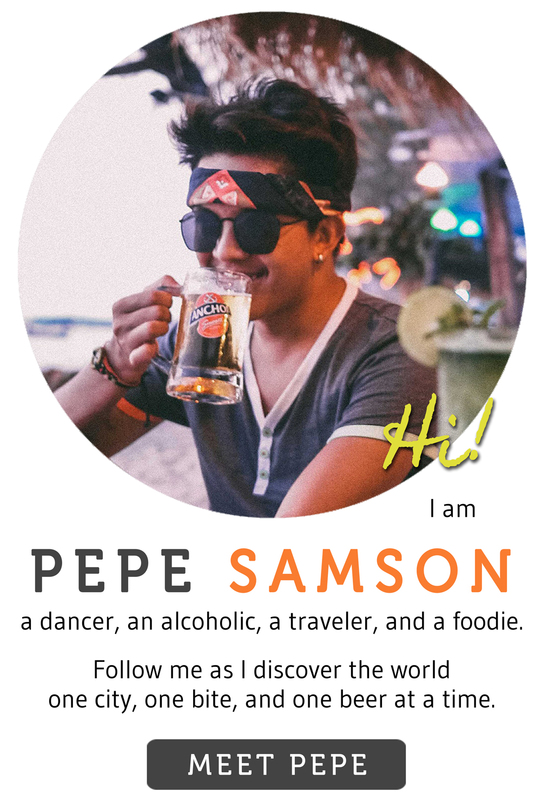 After staying at B Hotel, I can honestly say that this newcomer in the industry is not just all show, but teems with substance as well. 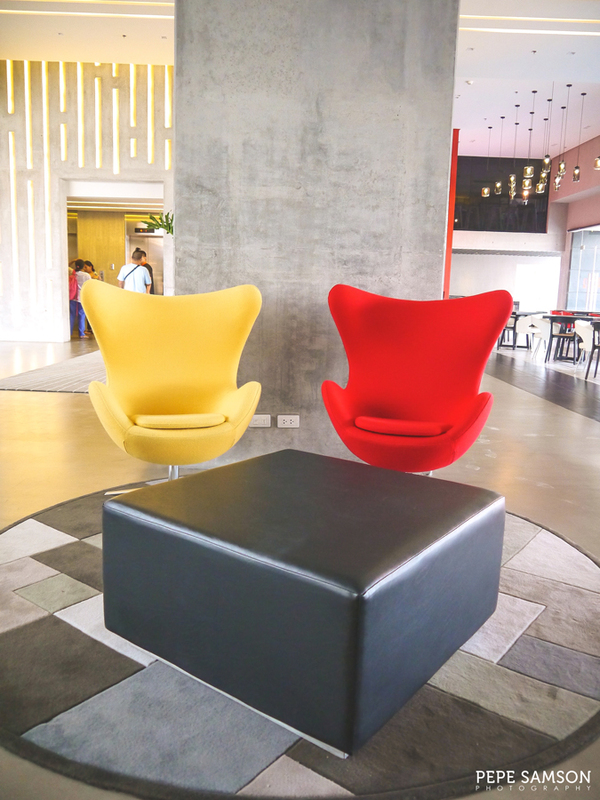 While the aesthetics and simplified beauty of it indeed attract attention, its facilities also demonstrate regard for what guests need and value most—comfort, accessibility and functionality. 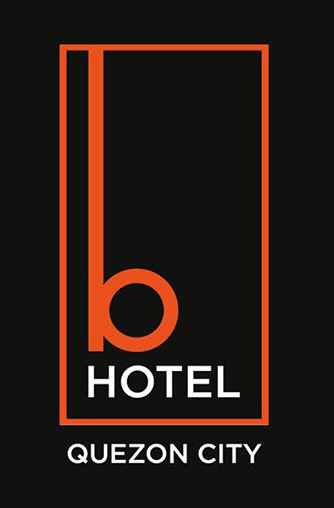 Right now, I think the biggest challenge of B Hotel is to find a brand of service that is distinct and is a single, special match to their uniqueness—something that guests would instantly associate with the stylish hotel, something that goes beyond its style. 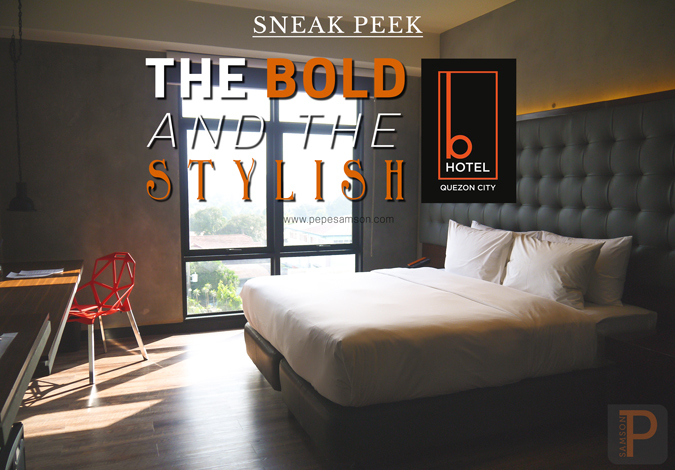 Congratulations to the head-turning, eye-catching B Hotel - Quezon City! 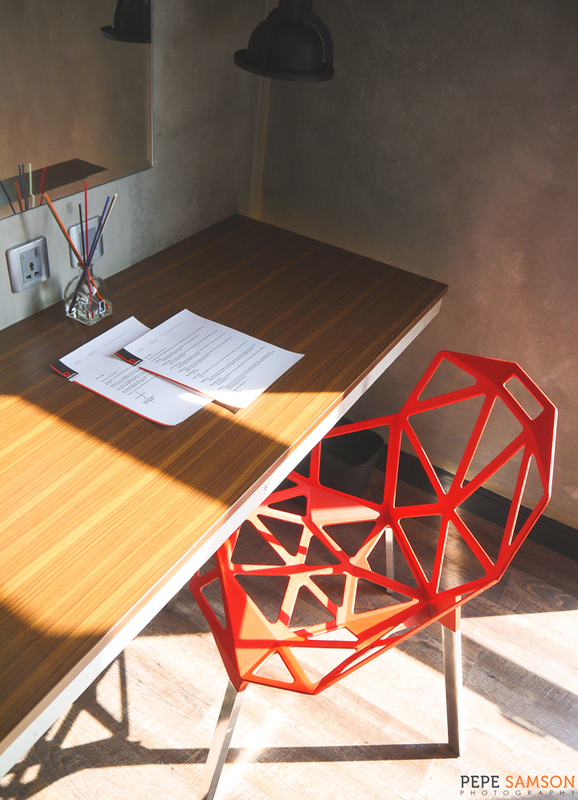 The rooms were designed with aesthetics and practicality in mind. Staff could be more anticipating and attentive. A la carte options are good and varied. 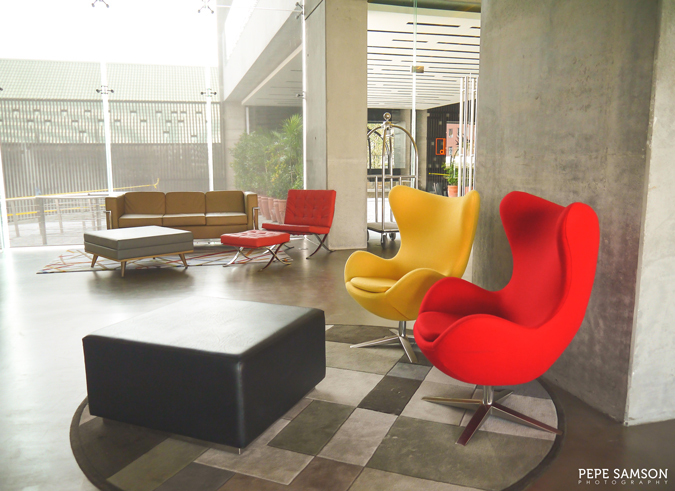 Edgy and vibrant, the hotel oozes with personality. 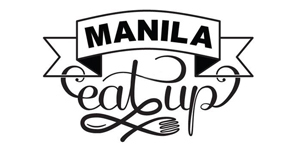 Has easy access to malls (Trinoma, SM North EDSA), entertainment hubs (Timog), and transport terminals (Cubao). 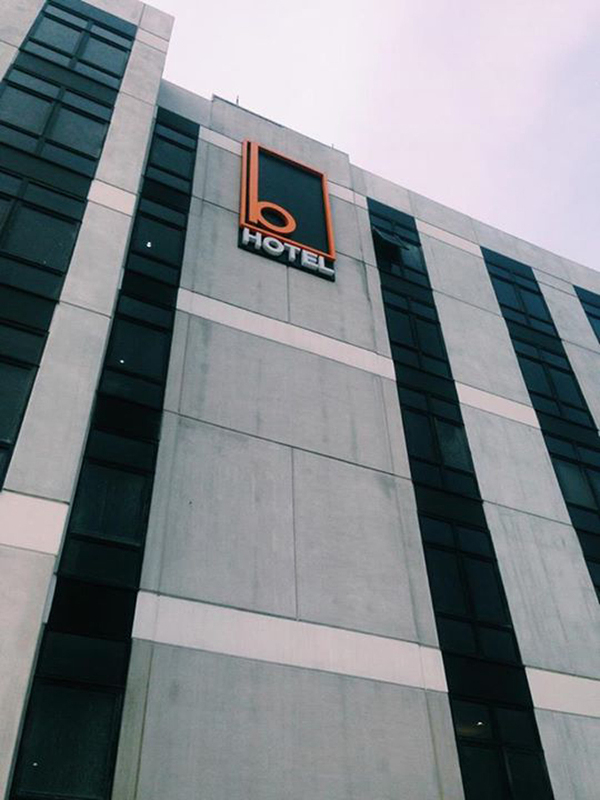 Have you stayed at B Hotel QC? How did you find it? 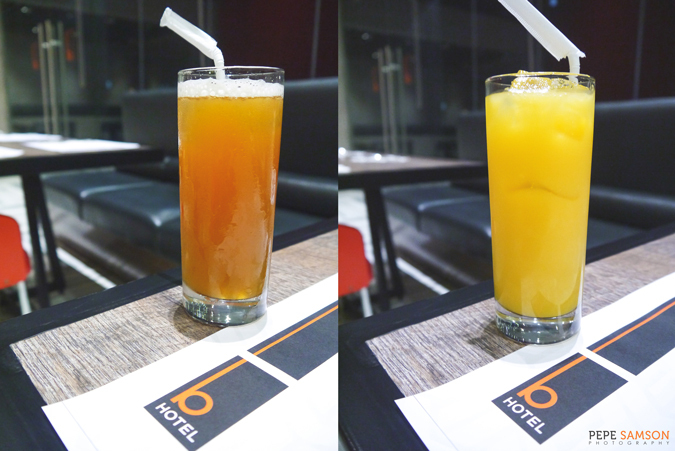 My stay was sponsored by B Hotel QC. All opinions, however, are my own.